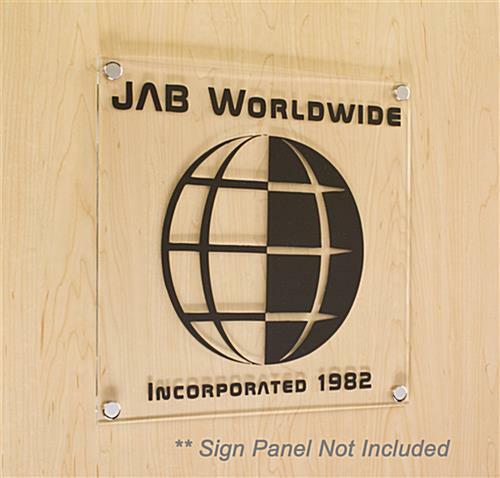 Chrome finish & 3/4" diameter accents signs in a bold manner. 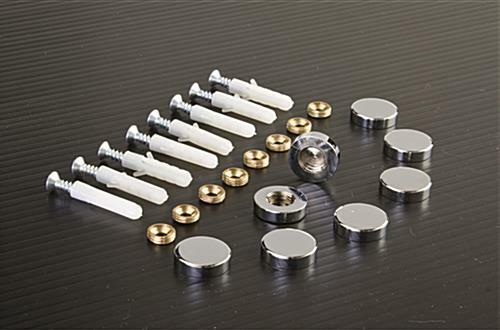 Set of (8) screws, covers, anchors, & washers provide enough hardware for (2) signs. 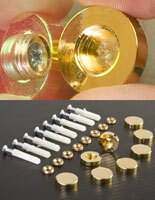 Made from brass with chrome plating but sells at plastic screw cover prices. 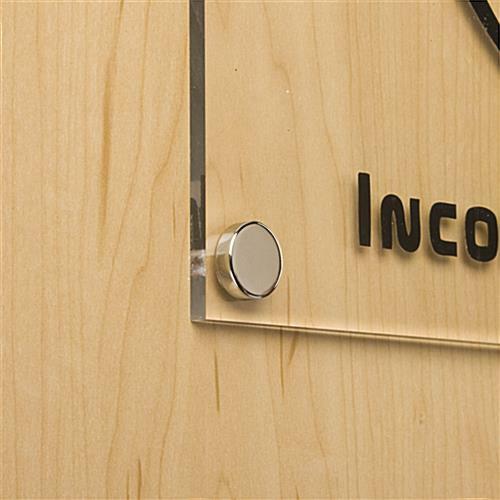 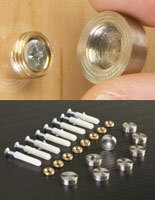 This chrome screw cover improves the look of signage in office and public buildings. 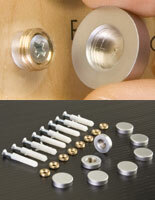 The caps up the elegance factor in any décor by hiding hardware that is usually revealed when a sign is mounted. 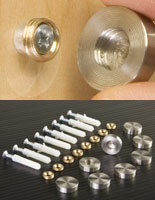 This kit comes a set of (8) screws, covers, anchors, & washers, allowing you to mount (2) signs. 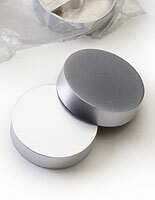 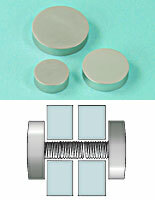 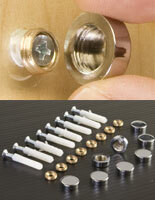 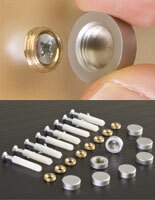 The chrome screw covers twist into place on threaded washers for a quick and easy installation.